The Southern Poverty Law Center (SPLC) was once an institution known for important civil rights advocacy. In the 1970s, the SPLC was opposed by terrorists that used violence to suppress their opposition. On March 9, 2018, an article on the SPLC website falsely asserted several reporters were enabling white supremacists and Russia. The SPLC was forced to issue a retraction. It should issue several more. In an article dated February 2, 2018, the SPLC accused the “alt-right” of killing people. The SPLC argued that “Gamergate” was responsible for launching the alt-right, and then listed several supposed “alt-right” murderers. The SPLC’s list of 13 “alt-right” murderers is a toxic mix of fact and fiction. Jeremy Joseph Christian stabbed and killed two people and injured a third on a train in Portland, Oregon in 2017. Christian’s Facebook profile shows he was a devoted and obsessive Bernie Sanders fan. Christian posted that he was voting for Bernie on May 16, 2016. “Just to clarify a few things: I Hereby Solemnly swear to Die trying to kill Hillary (Herself a filthy Murderess) Clinton and Donald Trump should they be elected to the post of President,” Christian wrote. Many journalists have reported Christian’s radical pro-Bernie posts, and yet the SPLC still included him in their article accusing the “alt-right” of killing people. Elliot Rodger killed six people and injured 14 others, including two women he shot inside of a sorority house near the UC-Santa Barbara campus. 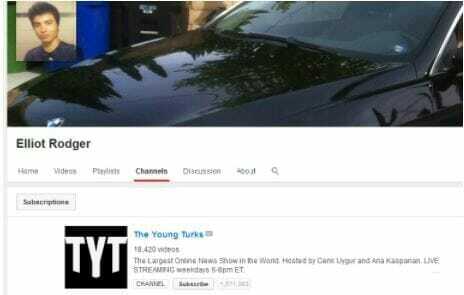 The son of Hollywood director Peter Rodger, Elliot Rodger was actually a Young Turks fan. Rodger subscribed to and and liked their channel. Like The Young Turks’s Cenk Uygur, Rodger published his sexual frustration with women. Before driving to the sorority house, Rodger uploaded a YouTube video explaining that he wanted to punish women for rejecting him and that he envied sexually active men. Harper-Miller shot a professor and eight students at Umpqua Community College in Oregon in 2015. In his manifesto, Harper-Miller wrote of his admiration for Elliot Rodger and Vester Flanagan, a black man who murdered two white reporters. The rest of the SPLC list includes several men whose motivations are harder to assess. Samuel Woodward, 20, was a University of Pennsylvania student and devout Catholic. Woodward may also have been a conflicted gay man. Woodward killed gay student Blaze Bernstein, 19, and allegedly told authorities that Bernstein kissed him in a car and that it was unwanted advance. The two had been talking on Snapchat the night of the murder. Sean Urbanski stabbed and killed a black student at the University of Maryland. Police initially said race did not appear to play a role in the killing. In July, state’s attorney Angela Alsobrooks told reporters that her office lacked sufficient evidence to pursue hate-crime charges. After the FBI got involved in the case, prosecutors used Urbanski’s membership in the Facebook group “Alt-Reich: Nation” as evidence of a hate crime. Alex Goodman, an administrator of the group, said it had been started as satire and was in fact partly intended to make fun of the so-called alt-right. In total, five of the SPLC’s 13 claims of “alt-right” killers were demonstrably false or suspect. The remaining eight claims included several mentally disturbed individuals. Considering the public nature of the killers the SPLC falsely labeled alt-right, it is hard to call the SPLC’s article anything but an outright fraud. Most disturbingly, the SPLC is doubtless aware that pushing the idea of “alt-right” killers may inspire disturbed left-wing Americans to commit violent acts of terrorism. The indifference of the SPLC to this potential violence is most obvious when considering the terrorist attacks the SPLC is not interested in totaling on their website. Nowhere on the SPLC website is a list of left-wing killers with a total of their victims. Here are a small sample of recent left-wing terrorists. Black Lives Matter supporter Micah Xavier Johnson fired on police officers in Dallas, Texas, killing five officers and injuring nine others. Black Lives Matter supporter Gavin Long shot six police officers in Baton Rouge, Louisiana, killing three. Bernie Sanders supporter James Hodgkinson shot Congressman Steve Scalise and attempted a mass shooting at a baseball practice featuring several Republican congressmen. 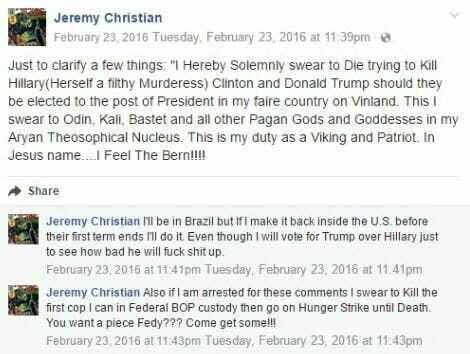 Bernie Sanders supporter Jeremy Joseph Christian stabbed and killed two people and injured a third on a train in Portland, Oregon in 2017. In just five incidents, leftists killed 62 people and injured dozens of others. Will the SPLC keep a tally of left-wing mass murderers? For now, it seems the only left-wing murders the SPLC wishes to tally are those they can somehow blame on the alt-right.